Minus Juniata's generous financial aid. At Juniata, we are committed to affordability, knowing that families are making an investment and often using loans to finance their education. During the 2017-18 academic year, Juniata awarded more than $36 million in scholarships and grants. We also have an exceptionally low default rate of 1.6%, compared to the national average of 11.5%. This means that 98% of our students achieve outcomes that make their debt manageable. In short, we strive to ensure that we help families maximize the use of resources available to them. To learn how Juniata may help you manage the cost of an education, use the Personal Cost Estimator. More detail is available in the Scholarship & Financial Planning brochure. Phi Theta Kappa Transfer Scholarships - Two scholarships are awarded annually to Phi Theta Kappa students who transfer to Juniata. Students who have active PTK membership at their current community college and at least a 3.85 GPA are eligible for consideration. To apply, contact Molly Thompson, Transfer Coordinator, at thompsm@Juniata.edu. Heritage and Ray Day Scholarships, valued between $2,000 and $8,000 per year are awarded to students who show commitment to academic excellence, leadership and community service that culminate in a level of understanding among diverse groups. Eagles Abroad Scholarship Program: the Eagles Abroad Scholarship Program gives students who wish to continue to learn either Russian, Spanish, German, or French the opportunity to have multiple study abroad experiences, and to engage deeply with global language and culture. Juniata also offers esports scholarships up to $2,500. These awards recognize program engagement and participation of students who do well academically, but also contribute to their school and community and whose academic excellence and aspirations are balanced with competitive ability. Express interest and find out more by filling out the recruitment form on our esports page. 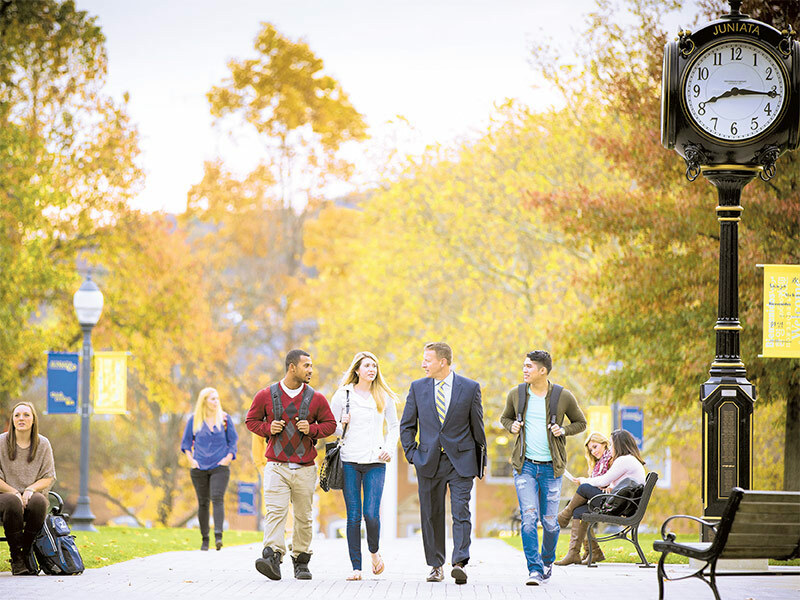 If you have achieved both a 3.75 or better GPA and SAT scores of 1380 or better/ACT scores of 30 or better, notify your Juniata College enrollment counselor that you would like to be considered for additional competitive scholarship opportunities. Apply by January. For Distinguished Scholar Awards, clearly indicate on your application that you have achieved some level of National Merit, National Hispanic or National Achievement recognition. Apply by January 1 of your senior year. Finalists are awarded an additional $2,500 scholarship. Juniata has a variety of grants that are used to make the College as affordable as possible. On average, 94.7% of a student's demonstrated need is met. For all non-scholarship aid, the Free Application for Federal Student Aid (FAFSA) is required. When completing the FAFSA, Juniata's code number is 003279. All who demonstrate financial need and meet application deadlines receive aid. Average financial aid package for first-year students was $37,751.